Quezon Province last February 28.
package at the Turn-Over Ceremony led by Vice President Leni Robredo. of the Office of the Vice-President (OVP) geared towards raising the quality of life of every Filipino family. them the proper honing process, fish and chicken fabrications, and different vegetable cutting techniques. The Vice-President herself joined him in the Knife Skills workshop. culinary education, livelihood programs and scholarships.”, he added. currently taking Cookery & Bakery, Bread & Pastry, and Food & Beverage Tracks. (CACS), a school owned by Chef Gene which is located in San Juan. margins, through advanced culinary education and culinary equipment. na mga chefs para hindi lang kayo matutong magluto kundi para maging mahusay na mangluluto. inyo.”, VP Leni said in her speech. The funding of the proceeds from the sales of Masflex KitchenPro products goes toward culinary scholarships & culinary livelihood programs as part of its Culinary Social Responsibility (CSR) efforts. “Thank you for continually buying Kitchenpro and Masflex products and being part of this Angat Buhay project in helping these well-deserving High School students reach their dreams of becoming the future chefs and cooks of our country.”, Mr. Mirchandani thanked their retailers and customers. 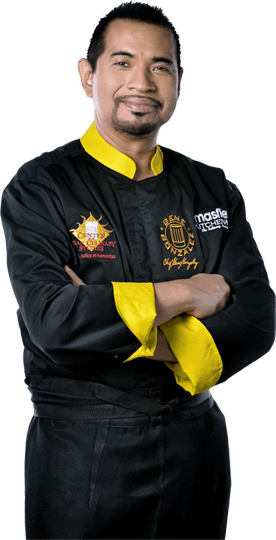 Masflex KitchenPro Culinary Collection is a range of culinary grade products all designed, approved & endorsed by Chef Gene Gonzalez which has the secondary tagline “Designed by a Filipino Chef for Filipino Chefs & Kitchen Enthusiasts” as this is also the mission of the brand. It is available in all leading department stores nationwide and online in Lazada.ph. Visit our website www.kitchenpro.com.ph and www.masflex.com.ph for more information.